While the induction of Chhering Dorjay into the J&K Cabinet is a positive step, not allotting the Ladakh Affairs Department to him speaks volumes on the attitude of Kashmir and Jammu-centric politicians towards Ladakh. Ahead of the Lok Sabha elections in May 2014, Bhartiya Janata Party (BJP) leader Nitin Gadkari had announced from the historic Leh Polo Ground on granting of Union Territory (UT) status for Ladakh within six months. But, unfortunately, when it comes to the actual action, the BJP is not comfortable even having a Ladakhi to look after the Ladakh Affairs Department. Not only the current coalition government led by Mehbooba but all other successive governments in the last two decades have been reluctant to hand over this ministry to Ladakhis who are more acquainted with the issues facing the region. Earlier, the Ladakh Affairs Department used to be supervised by a minister from the Ladakh region. The creation of the Ladakh Affairs Department in the J&K Secretariat was a milestone in the history of Ladakh in the post-independent era. This department was apparently created after Kushok Baluka Rinpoche's historical speech in the 1952 Budget session of the State Assembly in which he highlighted the discrimination allegedly meted out by the State Government with regard to Ladakh's development and allocation of funds. He was then the MLA from Ladakh. The department was created in order to speed up development schemes of the government in the region. After the formation of the Ladakh Autonomous Hill Development Councils (LAHDC), Leh (in1995) and Kargil (in 2003), the Ladakh Affairs Department seems to have lost its importance and relevance as it has been grossly neglected. Senior leaders and officials in Ladakh feel that the department sometimes becomes a stumbling block for the LAHDCs in their way of getting developmental formalities processed and expedited at the Civil Secretariat of Jammu or Srinagar as many a time LAHDCs would have to wait for long for an approval from this department. The department is mostly attached with the Planning Department and is headed by a senior IAS officer. All plans and projects formulated by LAHDCs of Leh and Kargil are supposed to be routed through the department of Ladakh Affairs for the approval of the government. The Ladakh Affairs Department is also supposed to look after any other important issue that may crop up during the day-to-day administration in the Ladakh region. The government claims that "the underlying objective for the creation of the Ladakh Affairs Department is not only to function as an administrative department of both the districts of Leh and Kargil but also for sorting out issues/problems with other departments of the State Government/ Government of India concerning Ladakh region as a whole. The department also monitors the dispatch of key materials and other essential items to the Ladakh region. Its functions now seem to have been reduced to mere dispatching and handling correspondences between the Government and the LAHDCs of Leh and Kargil. Decades ago, the Ladakh Affairs Department used to be a ministry and was supervised by a minister from Ladakh. Kushok Bakula Rinpoche and Sonam Norbu held the Ladakh Affairs portfolios during their tenure as Ministers. Bakula Rinpoche was the Minister of State for Ladakh Affairs. As a Deputy Minister, Kushok Tokdan Rinpoche also held the ministry. However, of late, the ministry is being headed by non-Ladakhis despite of the fact that State's Council of Ministers and the Cabinet have been having representatives from Ladakh. Ministers Nawang Rigzin Jora and Haji Nissar of Congress or Qumar Ali Akhon and Feroz Khan of NC in the previous Coalition Governments, or Minister Chering Dorjay Lakrook of BJP in the present government have not been given charge of the Ladakh Affairs Department. In 2015, when Chering Dorjay Lakrook was inducted as a Minister of State, one of the portfolios he got was the Ladakh Affairs but not as independent charge. When Dorjay was elevated as a Cabinet Minister, Ladakh Affairs Department was stripped off from him. There are strong opinions that with the presence of LAHDCs, it is time to wind up the seemingly defunct Ladakh Affairs Department as it seems to have lost its relevance in today's context. Strengthening of the Ladakh Affairs Department to ensure smooth coordination between LAHDCs and the State Government is yet another viewpoint. But the real issue is: Is the Ladakh Affairs Department still relevant, or has it now become a rubber stamp to cause unnecessary obstacles by the State's existing bureaucratic machinery? 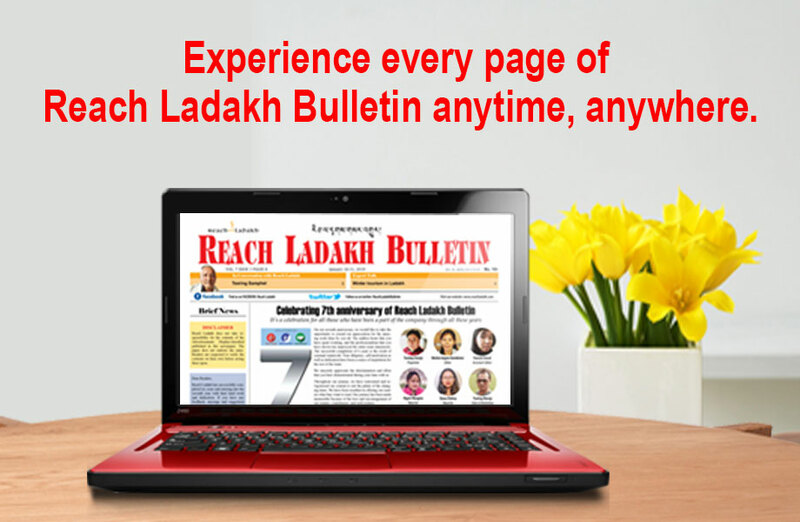 The half-hearted attitude of the department towards Ladakh's development is evident from the fact that its website has not been updated since 2010. Most Heads of Departments (HoDs) of Leh and Kargil, listed on the Ladakh Affairs website, have either been transferred to some other district or retired from service. The website doesn't have even the correct names of the incumbent chairmen of LAHDCs and the Deputy Commissioners of Leh and Kargil. Similarly, it is still carrying the names of the previous MP, MLCs, MLAs, and Councilors as incumbents. Is this the state of affairs with all departments and ministries at the J and K Civil Secretariat, or it is only with the department that is supposed to look after the administration of the Ladakh region? The author is a freelance journalist, former Executive Councilor,LAHDC, Leh and an activist.